I eagerly joined #CCourses, in hope of learning to learn from an Open, Connected, Curriculum-less course, in hope of creating one myself someday. But, after, the very interesting ‘Why’, I could not manage to keep up. Second week, I was overwhelmed. Third week, I was disillusioned – not clear how to learn from this course anymore. Now, I am not bothering to keep up at all. So, have I disengaged with CCourses, NO! Instead, I realize, I am learning, in my own small way, to my limited energy and ability, just not in the way, a lot of others in the course are able to. Followed similar people in Twitter – Found and followed a lot more people. Read /discard emails based on the content. Read each new blog post – I was getting emails whenever they posted a new one. Tweet about a new blog post by someone I followed, or Retweet something I liked. Once I joined #CCourses, with the hundreds of blog posts to read and bloggers to follow, and tweets to read and respond, and then, do some recommended reading for the course, and then, reflect and write a blog post as I learn - it became too much for me by the 3rd week. By the time, I finished reading someone’s yesterday’s post, they had posted one today. I was only trying to read, read more, and try keeping up with all the reading. I had no time left to reflect upon, collect my thoughts, no time left to learn, and make progress. Thanks to my new connections, I have started using a few tools, to help myself find a new rhythm. Inoreader – helps me check all those blog updates at one place. Tweetdeck – helps me read conversations on a hashtag, or shares by a handful of people in a ‘list’. It is no more about keeping up – rather, it is about having a dip whenever you arrive and taking in whatever you can, in that moment. Open Tweetdeck – Read one-page-full, RT some, and close it. Open ConnectedCourses.net for the week’s activity or the daily connect activity – Do what is interesting, and leave the rest. Get back to work and real life. I hope I can sustain this new rhythm to being a connected learner. The key is, being able to close the channels on a committed trigger, like – a timeout, or # of posts read, or 1 connected activity participation. Today, after a long time, I took the time to reflect upon this, and I am glad that I did. Why should I blog while learning? 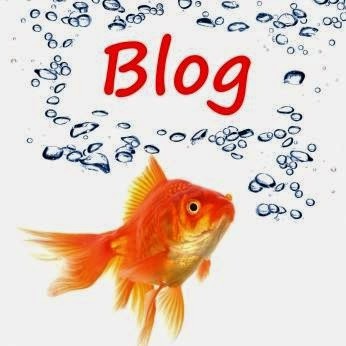 I am trying to answer this question that Learning Program Designers ask me, when I propose that we can include blogging as an activity for learners in their program design: 'Why should we invest time in convincing a learner to blog?'. So, why should I blog while I learn? To have an opportunity to validate understanding - when peers comments on the post. By blogging I get to record and thereby not forget what I think at the moment - triggered by various stuff I read, listen, see, and discuss. I can come back to it after a year, and recollect my learning, and how the learning has shaped my thoughts. So, I should blog for my own benefit - in the beginning, when I have no readers yet. Then, someone might actually stumble upon that recorded journey, and might connect with me, sharing their thoughts - for or against mine. They might even point me to some related resources, that might go on to immensely enrich me. And, when I revisit this post after a year, I may argue with myself - and end up posting a better one on Why I should blog while learning. Today, thanks to ConnectedCourses, I came across Laura Gibbs' Anatomy of an Online Course. I feel as though I drank an enriching potion on Online learning. The way, she has used a blog to create and share the entire course content of an online course. Wow! Brilliant. Her 'UnTextbooks' is novel to me. I think, for a long time now, I have been thinking, 'I am waiting for a generous developer who would develop a free user-friendly online tool that would be designed for curating online content for my 6-year old son or K12 in general. It appears, blog can be a perfect tool for just that!! Choose when I learn - during my work-day or during travel to work, or at night.